We focus on critical early learning skills, which are best developed in an atmosphere where independence is encouraged. Their building curiosity will be satisfied here. Your child is growing up fast and ready for a little more independence, we teach students essential knowledge and skills, which are a foundation to future success in school. At this age, students’ curiosity has only expanded. Our well-rounded curriculum gives them both education and a creative environment. 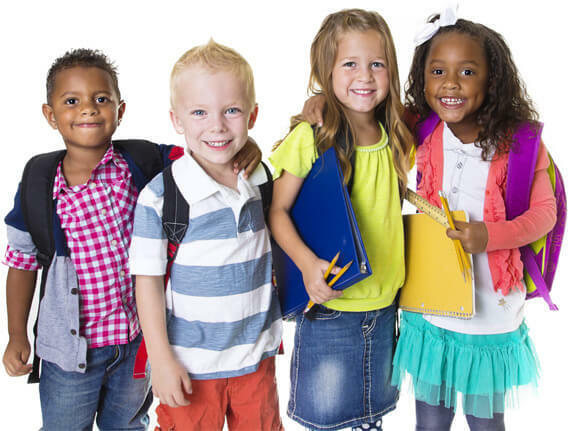 Our mission is to provide a safe, nurturing, and friendly environment where your child can grow and learn with the help and guidance of positive role models and with developmentally appropriate activities. Looking for a daycare was one of the most stressful times after becoming a new parent. No amount of research or planning felt adequate. We were lucky enough that there was an opening at Stephen’s house and after touring other facilities we simply felt at home there. The people taking care of the kids actually care. That showed from our first visit and it is still true today. I feel very reassured at the fact that I can go to work and know my daughter is not being only cared for but also mentally stimulated. She comes home happy and surprises me with sign language she learned or a new word. Thank you! We have loved Stephen’s House and how loving the teachers are there. Our daughters were incredibly ready for school after they attended Stephen’s House. We’ve always loved Stephens House, but it’s impact was clear when our daughter went to Kindergarten Round-Up last spring. The screener made the comment she was ready for first grade! Our second kiddo is still there and I can’t even think about telling everyone goodbye when he goes to kindergarten. They’ve become our family. Thank you for the many years of love, support, hard work and fun!! We moved to Stephen’s House after trying two other daycares. Our only regret is that we wish we would have found it sooner. Our son is beyond where he needs to be to start Kindergarten and he still has 4 months left! We are so thankful for the amazingly friendly staff, wonderful education, and excellent care that Stephens House has provided to our son. We will certainly miss it!